April 17th marks the long awaited and much anticipated 50th anniversary of the Ford Mustang. To celebrate the occasion, we’ll be counting down to the 17th with 10 of our favorite Mustangs from the last 50 years. I’m honored to kick off the list with the 1969 Ford Mustang Shelby GT500 428 Cobra Jet, which, apart from being a truly rare and awesome example of the pony car, recently grabbed the world’s attention when a model in mint condition was pulled from a garage in a layer of dust after being virtually untouched for 40 years. 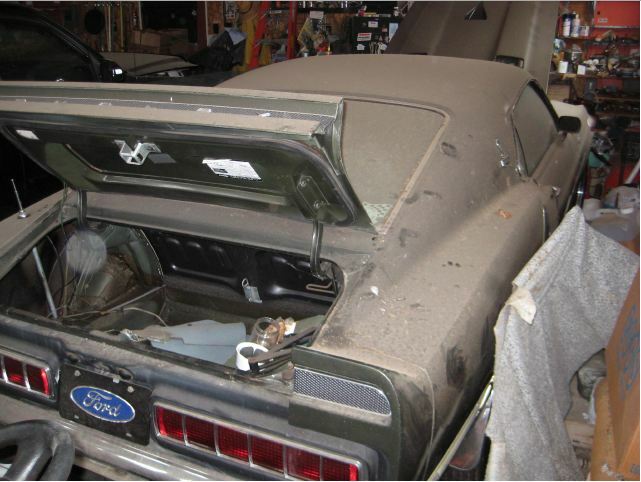 The 1969 Ford Mustang Shelby GT500 428 Cobra Jet was found blanketed in a thick layer of dust. This particular Mustang is powered by a 428 Cobra Jet engine (go figure), mated to a four-speed gearbox. The original owner, Larry A. Brown, who passed away last year, hardly put more than 8,500 miles on his 1969 Shelby GT500, which has most of its original parts, save for the tires, which were replaced once. 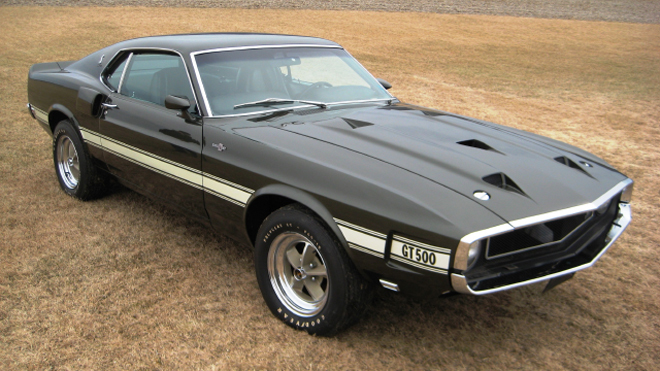 The Black Jade 1969 Ford Mustang Shelby GT500 428 Cobra Jet will go to auction on April 25, 2014.